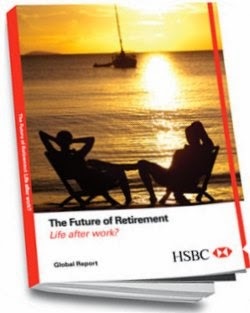 HSBC REPORT - THE FUTURE OF RETIREMENT: LIFE AFTER WORK? Just to share if you haven't read this report yet. Some interesting findings to take note of. It is based on a survey involving 16,000 people in 15 countries including Malaysia. The respondents covered people of working age (25 and over) and those in retirement. The survey was conducted between July 2012 and April 2013, and the report published in September 2013. The charts below are taken from the HSBC Global Report on The Future of Retirement. HSBC Report on "Life After Work - MALAYSIA"
2. How will we pay for retirement? 3. When should we retire? 4. How do older workers compare with younger ones? 5. 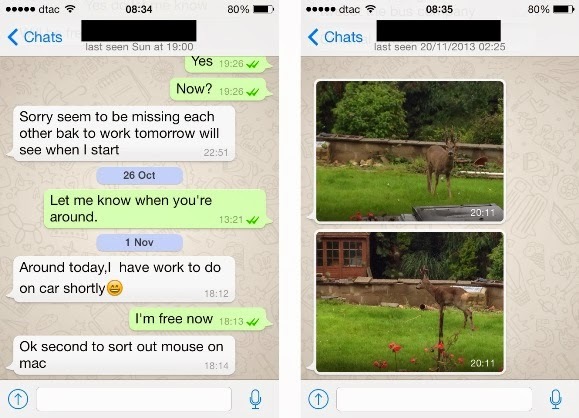 Do employers and employees think alike? Some 49% of retirees say they have not achieved their hopes and aspirations for retirement because they have less money to live on than expected. On a positive note, 67% say they are able to spend more time with friends and family. One assumption among many working people is that their expenses will fall once they enter retirement. However, one-third of Malaysian retirees (33%) saw their expenditures either stay the same or increase on retiring from healthcare needs or from funding family. Around 9% of Malaysians surveyed who are still working say they do not believe they would ever be able to afford to fully retire. This may have led to the growing inclination towards semi-retirement, with close to half (54%) of non-retirees having planned for semi-retirement, higher than the global average of 42%. Among those who expect to semi-retire, one in five respondents say that they would go for semi-retirement because they need to bridge a shortfall in retirement income (24%) and are unable to retire full-time (26%). However, Malaysians generally still expect to retire on average at 55, earlier than their parents who averaged at 57. Despite the anxiety of financial shortfall and unrealised personal aspirations, Malaysian retirees still intend to save during retirement. More than three-quarters or 78% of Malaysians still save during retirement compared to the global average of 56%, and these retirees expect to leave an inheritance to their children. This article has been circulating on the Internet recently. It is a translation by Edmund Ng at CeoConnectz. Click here to read the original in Chinese. The next time you are out in the city or abroad on vacation especially in East Asia and Europe, take a good look at the people around you. Have you noticed more older adults than young people? Welcome to the ageing world. If you are like me, a baby boomer, there are many more of us around than ever before. This is one case where there is no safety in numbers. Instead there is much concern, even alarm in some countries. 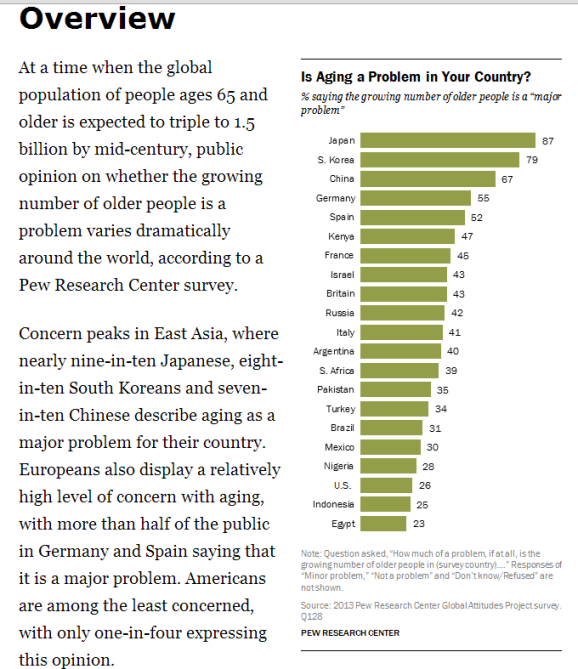 According to a PEW Research Centre survey on attitudes towards ageing, it is interesting to note that Asian countries especially Japan, South Korea and China, are generally more worried than the US about the implications of an increasingly graying population. A quick look at the statistics reveals why this is so. By 2050, those aged 65 and above are expected to make up more than a third of the population in Japan and South Korea, with China closely behind. 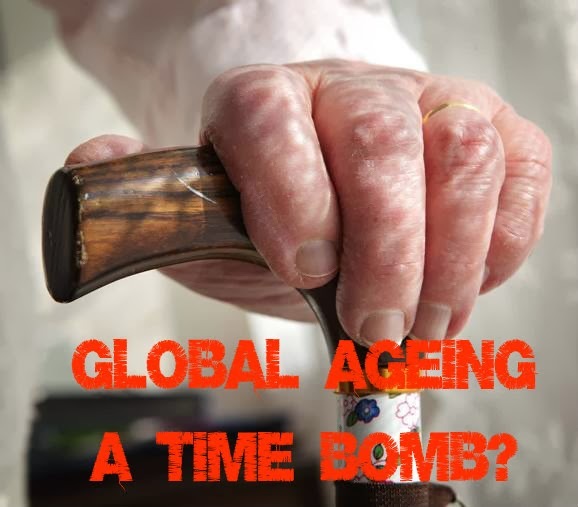 Any country with a rapidly ageing population faces a host of problems ranging from a slowdown in economic growth to soaring healthcare and welfare costs. To read more, please go to Attitudes about Ageing: A Global Perspective. 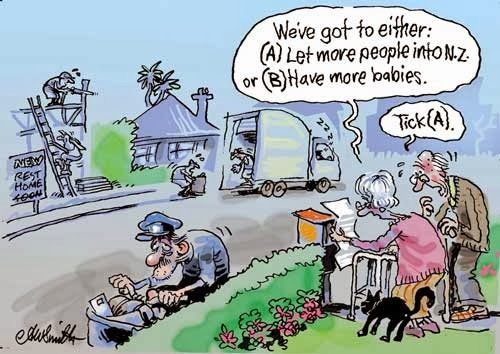 Here are some cartoons taken from various sources on the internet to give readers a snapshot of the global ageing 'crisis'. CANADA: Click here to read more. NEW ZEALAND. Click here to read more. CHINA: Click here to read more. GERMANY: Click here to read more. What about Malaysia? 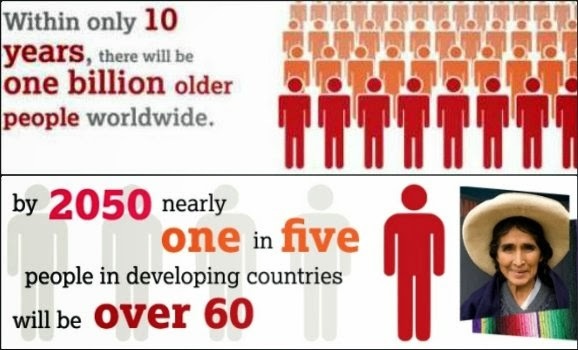 According to the United Nations, we will be an ageing nation by 2030. But why wait till then to get prepared? 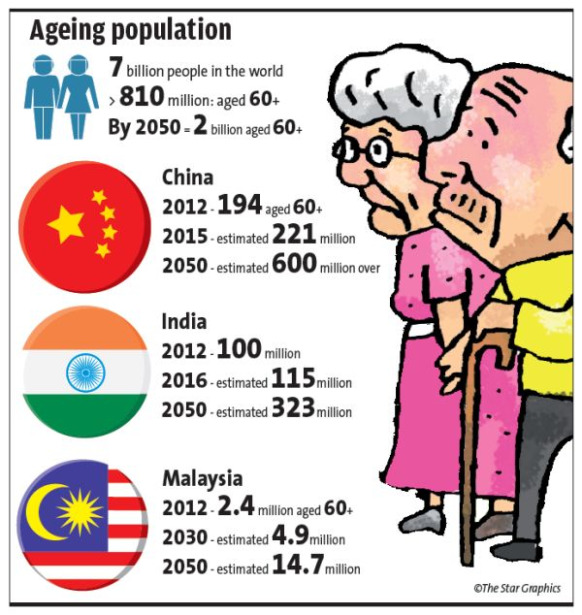 The relevant ministries should start planning NOW to cope with the expected rise in the elderly population. We must have the necessary systems and structures in place, and not wait till we are swamped by the onslaught of the silver tsunami. Worth picking up to find out more about the implications of an ageing population. I bought this book 'Shock of Gray' in 2010, after reading a review of it on Amazon. An absolutely fascinating and horrifying read at the same time. Highly recommended if you are interested in the topic. Smaller angpows in the Year of the Horse? With the recent price hike of almost everything, it is time to revisit that article for some tips and an update on how to stretch our retirement funds for the lean times ahead. 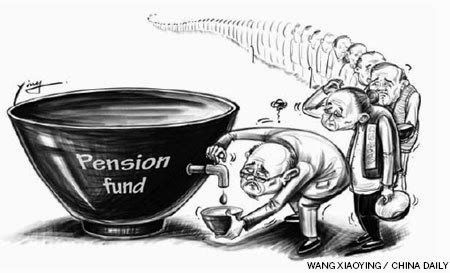 This is especially so for retirees depending solely on their government pension or EPF savings for their monthly sustenance. 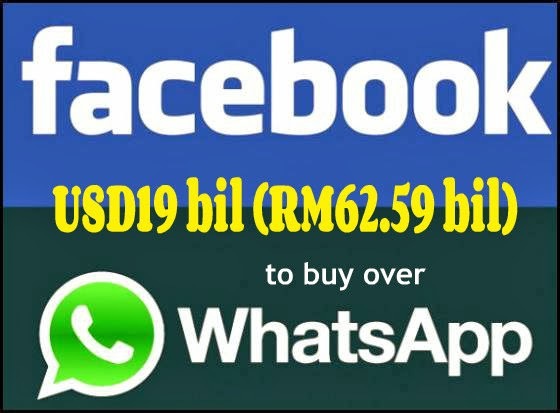 They will have to tighten their belts a notch or two to stretch their ringgit. Here are some easy to follow Do’s and Don’ts. Being patient can save you money. If you are planning to upgrade your cell phone, computer, or camera, don’t just yet. Wait for hand-me-downs from your adult children. They are always eager to get their hands on the latest models, and will be happy to pass on their almost-new discards to their parents, and that means you. If you wait till your birthday or Mother/Father's Day, who knows you might find a new lap-top all wrapped up as a gift for you. 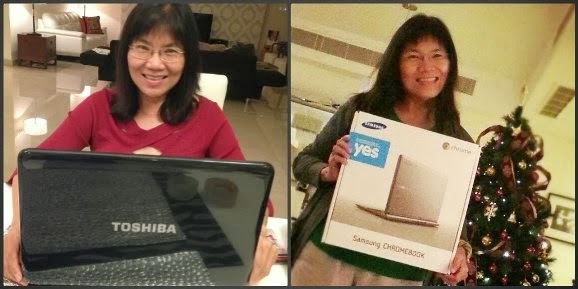 I received a Toshiba lap-top for my birthday last June, and also won the grand prize of a Chromebook at the Pikom Fair last December. Good timing indeed as my desk-top and net-book were already showing signs of old age. The two pcs saved me at least two thousand ringgit. Cut down on eating out. 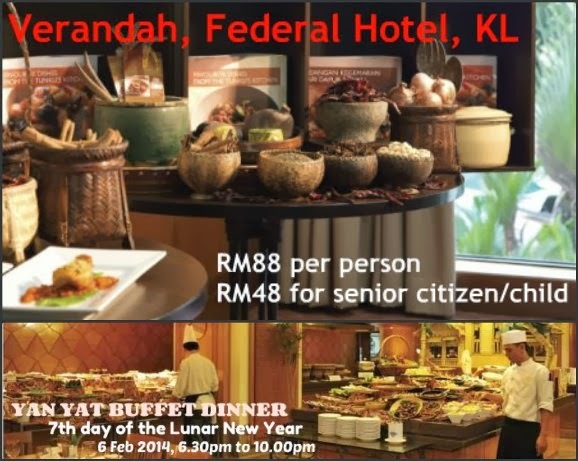 A meal out with your spouse at a nice restaurant can set you back at least RM60. Make eating out a treat rather than a habit. That includes eating at food courts too. Meals at the mall food courts have already gone up in price since the beginning of the year. Some food outlets have started adding service tax and government tax. 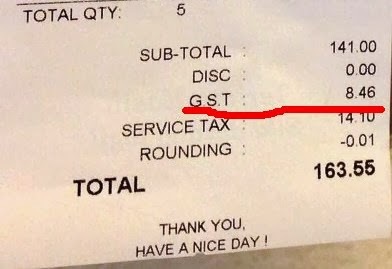 At least one restaurant I know has even started charging GST. I was under the impression that GST would only be imposed in April 2015. Nothing beats home-cooked meals for better nutritional value and savings, and it costs only a fraction of what you will pay for a meal out. Go for cheaper alternatives. A RM200 watch serves the same purpose as a RM2000 one, which is to tell the time. Forget about losing face. 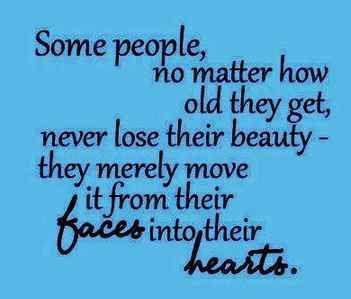 At our age, there’s not much face to lose anyway. Ladies, steer away from pricey cosmetics and perfumes, unless you can afford them. Go for the more affordable brands. It’s good to remind ourselves that often, less is more, especially as we age. Less make-up, less jewelry, less designer items. That goes for designer coffee too. A cup of good strong coffee at the kopitiam is more satisfying and much cheaper than an expressso or latte at an international franchise coffee outlet where you also pay for the high rental and air-conditioning. Downsize. If your adult children no longer live with you, you might want to consider moving to a smaller house or apartment. The same applies to your car. 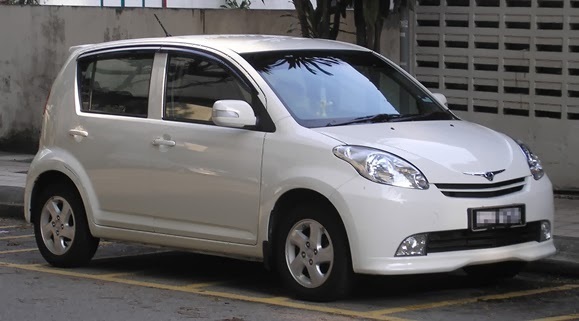 Sell off that fuel guzzler and switch to a Kelissa or a MyVi that is low on fuel consumption and maintenance. It still gets you from A to B in about the same amount of time. 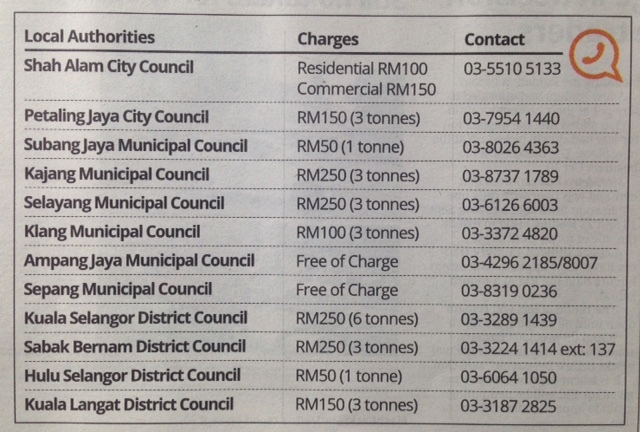 A friend told me that she could drive her Kelissa from KL to Penang on just RM25 worth of petrol one way. Resist the temptation to keep up with the Lims. Your relatives just spent RM100,000 on renovating their house. Good for them. They probably have the money to do so. 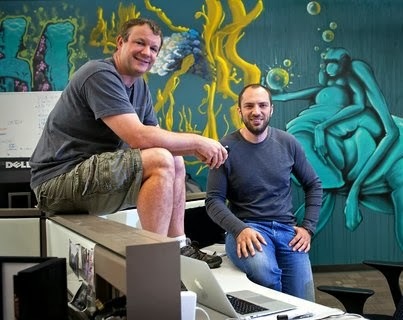 Your best friend just bought 200, 000 shares in a public-listed company. Congratulate him, even envy him, but you don’t have to do the same if you don't have a fat savings account. Be mindful that the best things in life don't necessarily cost a lot, and the most expensive things don't necessarily bring you lasting joy. Be prepared to make small adjustments to your lifestyle. It's not just cutting down on eating out, and buying cheaper alternatives. Also take fewer holiday trips abroad. 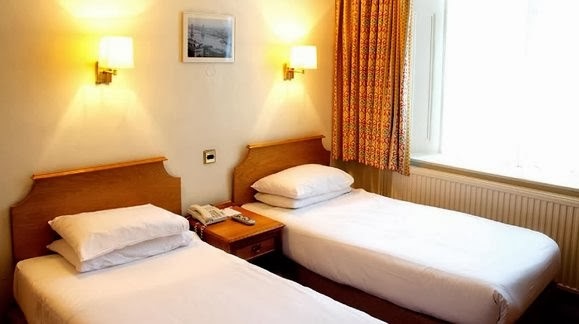 Travel economy class and stay in budget hotels. Backpacking can be fun with the right company. I have always thought it's a sin to see good money go wasted on expensive hotel rooms when most of the time you are out sightseeing. A clean comfortable room should do just fine for a good night's repose. Switch to public transport. If maintaining a car eats into your funds, opt for public transport. I got rid of my car 20 years ago. It wasn't easy initially to adjust to doing without wheels. Thank goodness, those days of terror rides on stuffy, overcrowded pink mini-buses are long gone. Today, taking a ride on the Rapid KL air-con buses or LRT is cheap and comfortable. For senior citizens aged 60 and above, get a Kad Rabbit Touch & Go for Warga Emas. It entitles you to 50% off all rides on Rapid KL buses, LRT (Putra Line and Ampang Line) as well as the monorail. You can apply for the free card at the Pasar Seni LRT station. Buy bulk or economy-size. Do the maths before you make a purchase especially at the supermarket. It makes more sense to buy economy-size than small or regular. A 200-gm pack of coffee gives you more value per cup than a 100-gm pack. Likewise, buying a 3 in 1 pack of toothbrushes makes for more savings than buying individually packed toothbrushes. While on the subject of toothbrushes, would you pay RM179 for an electric toothbrush when you can keep your teeth just as clean with an ordinary one for around RM6, and a RM10 pack of dental floss? Look for special offers and sales. Hypermarkets like TESCO, GIANT and AEON advertise great savings every weekend. 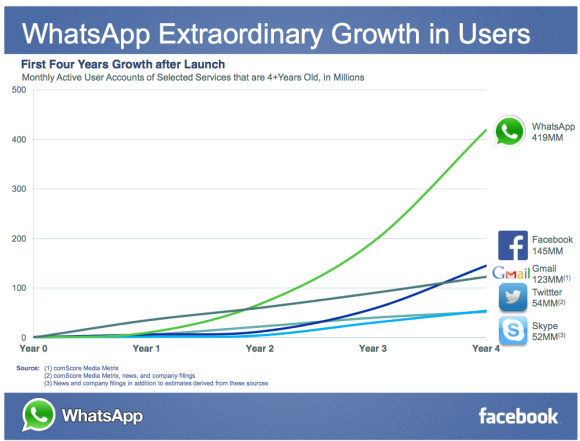 It's a consumers market as businesses compete for customers. Compare prices before you shop. Wait for the big sales like the MATTA Fair for special offers on vacations and air tickets, and the PIKOM Fair for discounts on computers and electronic gadgets. 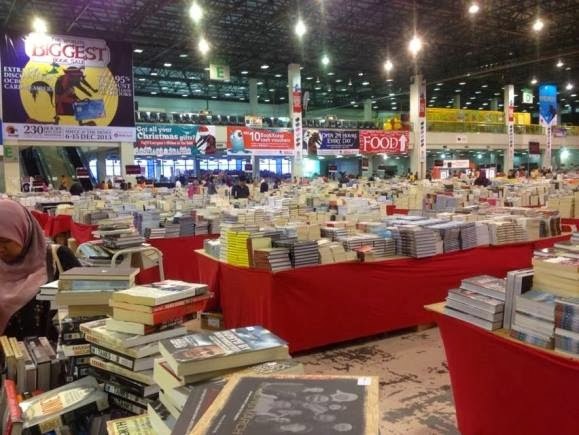 If you enjoy reading, check out warehouse book sales, especially the annual BIG BAD WOLF sale or the POPULAR BOOK FAIR. You can get a trolley full of good reads at unbelievably low prices. I always make sure to visit these sales to get great bargains. Before you part with your money, don’t be embarrassed to ask if there is any special concession for senior citizens. I pay only RM7 to see a movie at Golden Screen cinemas at MidValley. Guardian Pharmacy issues Golden Privilege cards for senior citizens that enable them to pay 10% less for pharmaceutical products and health foods. You can enjoy lunch or high-tea at some hotel restaurants at 30%-50%off. You can enroll for a degree course at Open University Malaysia at a 75% discount, or catch a play or musical at less than the normal ticket price. The list goes on. 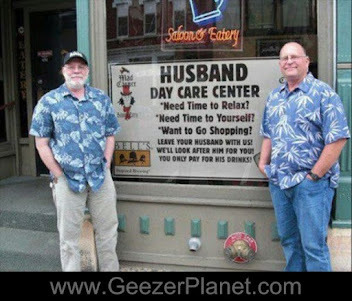 No harm in just inquiring about seniors discount. 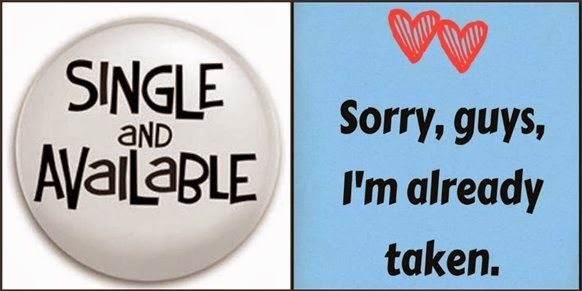 I have enjoyed special rates for seminars and conferences simply by asking if I could get a senior citizen's discount. Free inner city transport. Saves you the hassle of finding parking. A good option if you plan to go shopping in the city. Opt for freebies. Better to be called a cheapskate than to waste good money unnecessarily when something you need is available for free. Planning a trip downtown? Take the Go KL shuttle bus. It is free, and takes you to all the main shopping centres in the city, including KLCC, Pavilion, Bukit Bintang and Pasar Seni. Looking for entertainment? Go to YouTube for free movies and music videos. Want to contact family and friends? 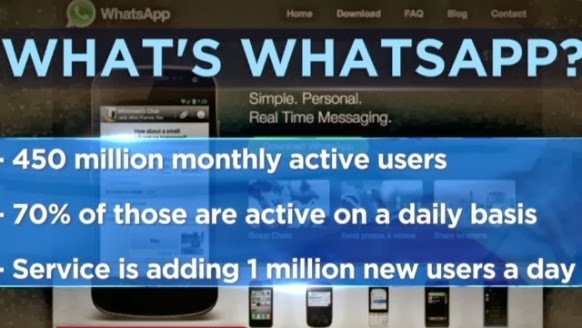 Connect on Skype, Facetime or use What's App or Viber - all free. 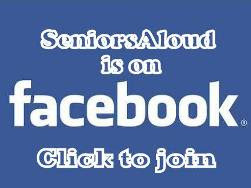 Interested in lifelong learning? Sign up online with Coursera, There are over 600 courses for you to choose from, all free and offered by some of the world's top universities like Yale and Johns Hopkins. Keeping fit doesn't have to cost a cent. Most exercises like tai-chi, qigong, and yoga can be done at home for free or in a group with an instructor for a token fee. Using the stairs several times a day at my walk-up apartment on the third floor gives me a good workout. So does the daily 15-minute brisk walk to the neighbourhood supermarket. Carrying the bags of groceries home is strength-training for my muscles. If you live in a condo, make full use of the gym and pool rather than pay a hefty monthly fee to join a fitness club. Limit your credit cards to one or two. Get rid of the others. This will curb excesses in spending. It’s a good idea to collect privilege cards like those issued by hypermarkets, departmental stores, book chains, hotels and restaurants. The cards allow you to accumulate points with your purchases that you can exchange for gifts or cash vouchers. I have quite a number of these cards, but limit myself to only two credit cards - one for use in Malaysia, the other for Singapore. That way I have better control over my spending. I also make it a point to always pay the full amount due on time to avoid late payment charges. 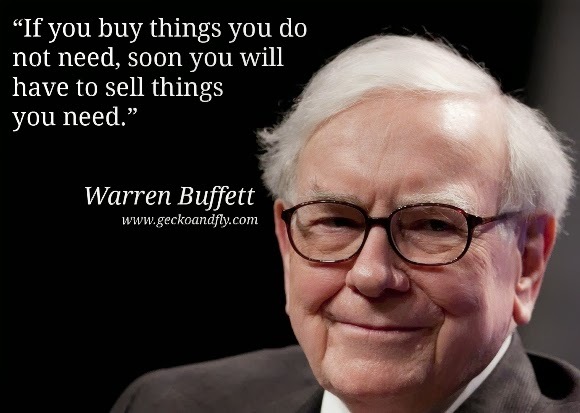 One of the world's richest men says it best - keep a rein on your spending, or end up in debt. The more fortunate among us may have access to multiple sources of income or enjoy generous financial support from their children. But when your only source of funds is your monthly pension or EPF savings, every ringgit counts. Keep a record of every purchase you make, and total the numbers at the end of the month. You will be amazed at how much you have spent, and where all the money went.